The Yuan Dynasty was different from other dynasties in the history of China, and so was its capital, Dadu, the city that laid the foundation for what would become modern-day Beijing. 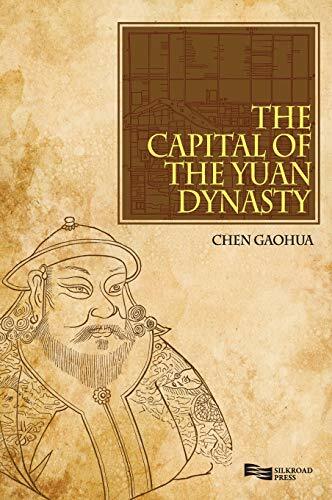 As the first publication of its kind, The Capital of the Yuan Dynasty presents the capital's history using a thematic approach. Starting from Beijing in the pre-Yuan Dynasty period, and the building of Dadu as a new city, the author introduces the layout of the city and imperial palaces, and then focuses on Dadu in detail from political, economic, and cultural angles. The Capital of the Yuan Dynasty references over 100 Chinese classics of the Yuan and succeeding dynasties, including Yuanshi (History of Yuan), Xijinzhi jiyi (Compilation of the Scattered Writings of the "Gazetteer of Xijin"), and Tongzhi tiaoge (Legislative Articles from the "Comprehensive Regulations"). Insights from contemporary prose, poetry and references from Goryeo Korea (Nogoltae and Pak T'ongsa) complement the text.